“Captain” John West was a selfmade man. 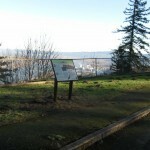 A native of Scotland, he settled on the lower Columbia River near this spot in the early 1850s after trying his luck in the goldfields of California. West built and operated sawmills, ran a general store and post office, built and managed a salmon cannery, developed and improved canning machinery, and exported lumber. He also exported canned salmon around the globe and left his name on both a large seafood processor and distributor and on Westport, the Oregon community four miles east, upriver. Born in 1809, John West immigrated to Quebec where he married and started a family while apprenticing as a millwright. In 1849, he left his family and job to search for gold in California. A year later, with little gold to show for his efforts, he arrived in Astoria and went to work using his knowledge and skills as a millwright. 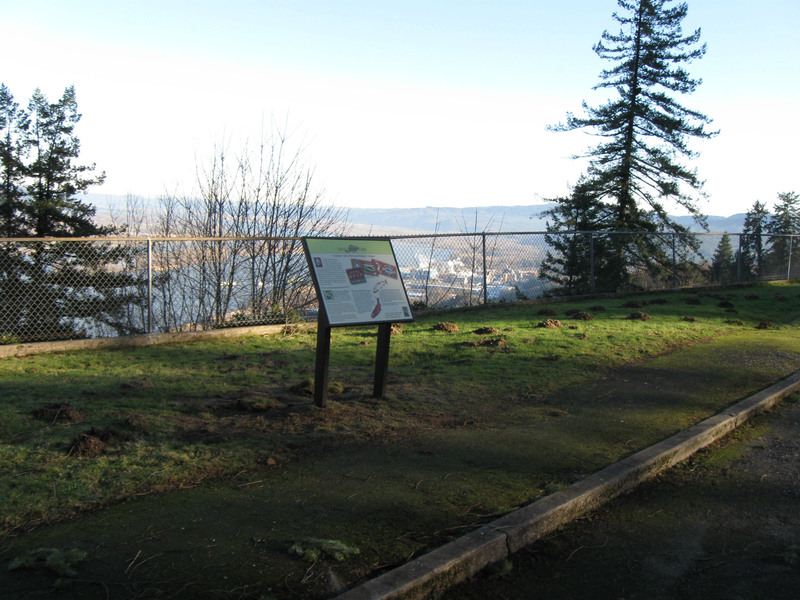 In 1853, West and his wife Margaret took up a 640-acre Donation Land Claim along the lower Columbia River upon which he soon began construction of a water-powered sawmill. West built a steam-powered sawmill in the early 1860s, and by 1868 he was exporting lumber to Australia. During these years the community of Westport grew up around John West’s sawmill on his Donation Land Claim. The West family sold the mill in the early 1900s. The Westport Lumber Company continued production there until February 1956, when it became uneconomical to operate the mill due to a scarcity of logs of sufficient size. John West also exported salmon from as early as 1857. The first fish West processed were salted, packed in barrels, then shipped to California, where they were loaded on sailing ships and sent around Cape Horn to East Coast ports, and then on to Great Britain. In 1868, West entered into partnership with several others to found the Westport Cannery, the first on the Oregon shore of the Columbia River. 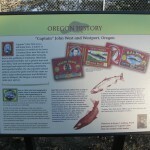 The cannery packed 22,000 cases of salmon during the 1873 season and in October of that year won a gold medal from the Oregon Agricultural Society. Salmon canning peaked in the 1880s with 39 canneries in 1883, supported by 1,700 commercial fishing boats along the Columbia River. West invented an automated can-filling machine and was the first on the lower Columbia River to make use of salmon waste for oil and fishmeal by-products. He also experimented with canning beef, mutton, and blackberries to keep the machinery and workers busy during the salmon off season. West’s brand label for canned foods lives on today as John West Foods Ltd. of Liverpool, England. As a subsidiary of the H. J. Heinz Company, it sells canned fish, fruit, vegetables, and meat all over the world. “Captain” John West died in 1888 at age 79 and is buried in the West family plot at the Westport Cemetery. 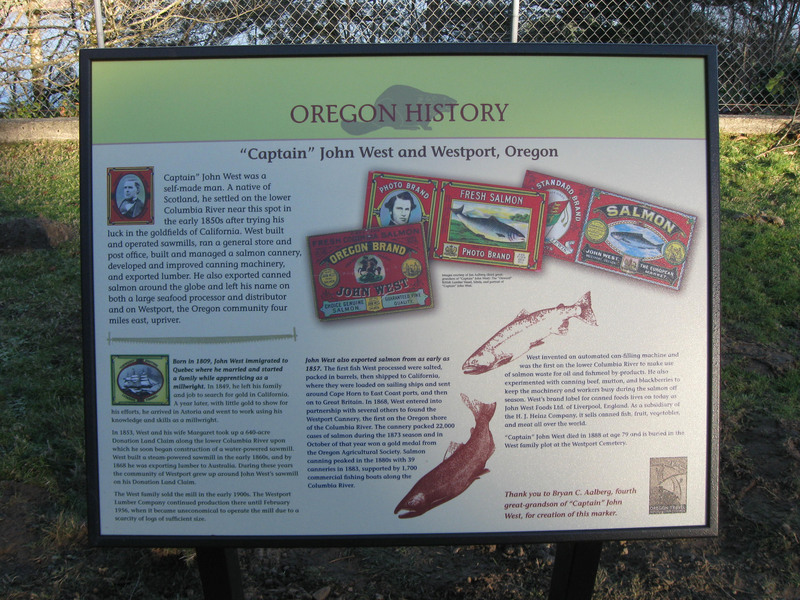 Thank you to Bryan C. Aalberg, fourth great-grandson of “Captain” John West, for creation of this marker.